Just like any other nation, it’s important to acknowledge and understand their way of life and how, in doing so, you will be greeted with the utmost respect. That’s why we have created a simple guide on Chinese customs and etiquette for your holidays to China so you can appreciate the country even more! The male should be introduced to the female first. The inferior should be introduced to the superior. The host should always introduce themselves to the guest first. The oldest person is greeted first as a sign of respect. Formality in China is crucial when greeting, and it’s advised to address adults by their title (‘chef’: chushi or ‘teacher’: laoshi) or by their family name (Mr Chang / Ms Huang). Handshaking is a universal greeting or a nod of the head for acknowledgement of the other person is accepted in China. China tours are a fantastic way to see and learn about the country in all of its glory. Whether you want a true China experience or want to cruise on the Yangtze River, bear in mind key Chinese customs when out and about. Punctuality is considered a virtue in China, so make sure you are on time whenever possible! Chinese people are very much a calm and collected nation and can lose face if an individual overreacts or ceases to remain calm when confronted. If you are asked personal questions by a local or authoritative person, don’t be offended as they may just be intrigued as to who you are. A custom that is becoming uncommon nowadays is the somewhat unhygienic habit of spitting on the floor or pavement. 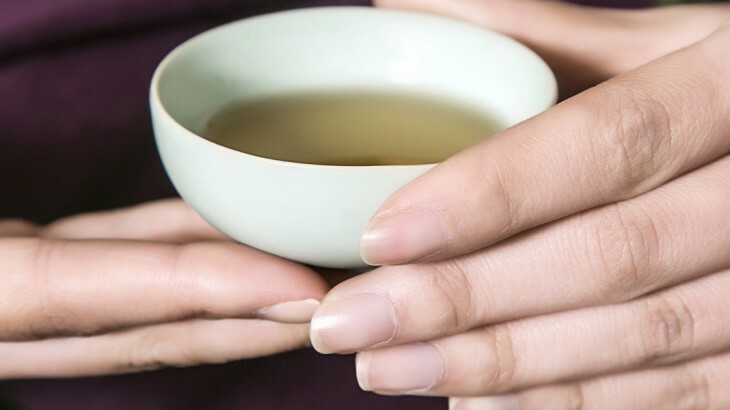 The Chinese do like to clear their sinuses and if they do this near you, try not to think they are being rude as it is common for many people to do so. However, the habit is becoming less and less popular and if you are visiting Beijing you will be handed an on-the-spot fine if you decide to join in! Over the years, western culture has had an influence on the way in which people in Asian countries, especially China, dress. 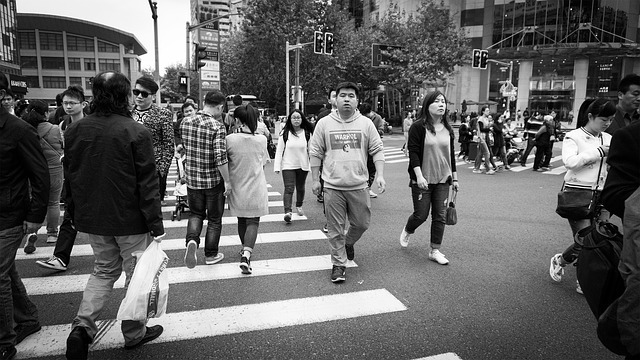 In the summertime you can expect Chinese people to be wearing shorts and t-shirts in urbanised areas and as it can be very humid in this sort of setting, it is wise to pack the same clothing. If you want to be truly respected by Chinese people on your trip to China, make an effort with your dress code at meal times and formal occasions – being seen as ‘scruffy’ is frowned upon, just as with many western cultures today. Chinese people take huge pride in their cuisine and how they eat their food is no different. 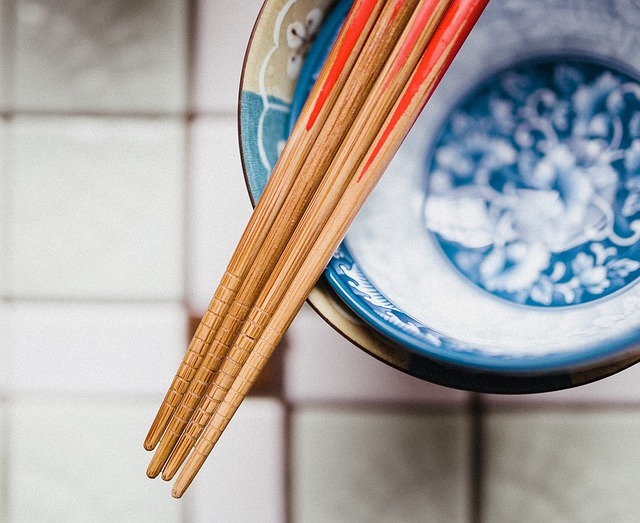 Chopsticks are a popular representation of Chinese cuisine but shouldn’t be used without acknowledging what is and isn’t allowed when eating with them. Chopsticks should never be left standing upright in the bowl as it symbolises death. Also try to avoid tapping the bowl or plate with the chopsticks as this will come across as being rude. At formal occasions or parties when it is time to toast the celebration, stand if possible and tap the table twice to thank the host when drinking. If there is food involved (which is very common) try to eat a little of every dish and leave a small amount of food on the plate to symbolise generosity to the chef and host. If you happen to be invited to someone’s house for a gathering or a party, make sure you take a gift along with you, this could be some fruit, tea or flowers, never go empty handed. It is also worth noting that, unlike in the UK where it is seen as rude and impolite, Chinese people find slurping and burping complimentary when eating in China, so try and embrace the custom shift. Last of all, enjoy! 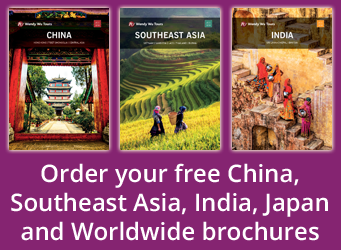 Discover China with Wendy Wu Tours, the UK’s leading Asia Experts. Our award winning, escorted China tours visit all the major sights for an unforgettable holiday.